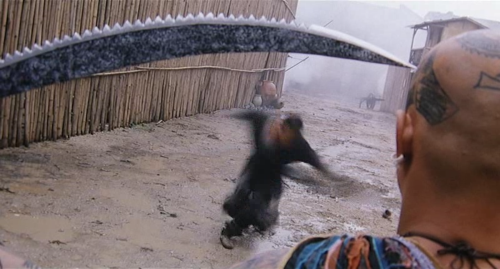 Tsui Hark’s 1995 THE BLADE is a wuxia straight out of hell: narrated by a sociopath, set in a desert wasteland overrun with killers, and centered on a mutilated man with a matching, disfigured sword. Hark forgoes and subverts all codes that might legitimate this world’s violence; the only law that remains is speed. Come and ponder the innermost parts of one's self as we explore what lies within the mind, the medium, and the moment. Featuring work by Amir George, Benji Sayed, Elena Ailes, and Irving Gamboa.